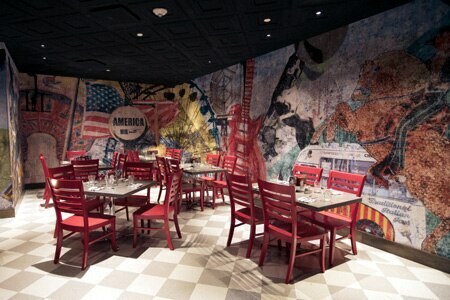 Freedom Beat at Downtown Grand features the culinary offerings of chef Scott Commings, winner of "Hell's Kitchen" Season 12. Open 24 hours, Brunch Sat.-Sun. 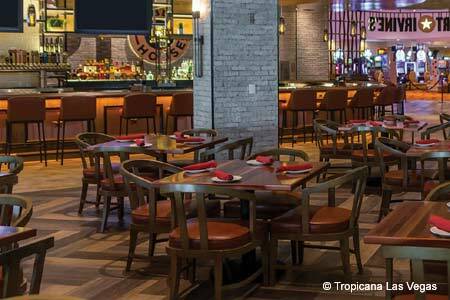 : Freedom Beat at Downtown Grand offers a culinary road trip via a menu of American fare that ranges from beer can chicken to red, white and blue velvet waffles. Libations include craft beers and signature drinks. Brunch on Saturday and Sunday from 10 a.m. to 2 p.m. brings unlimited small plates and skillet dishes for $20, such as maple walnut brioche toast, crab cake, pot roast Benedicts and a pastrami hash skillet. Bottomless mimosas or unlimited trips to the Bloody Mary bar costs an additional $10.